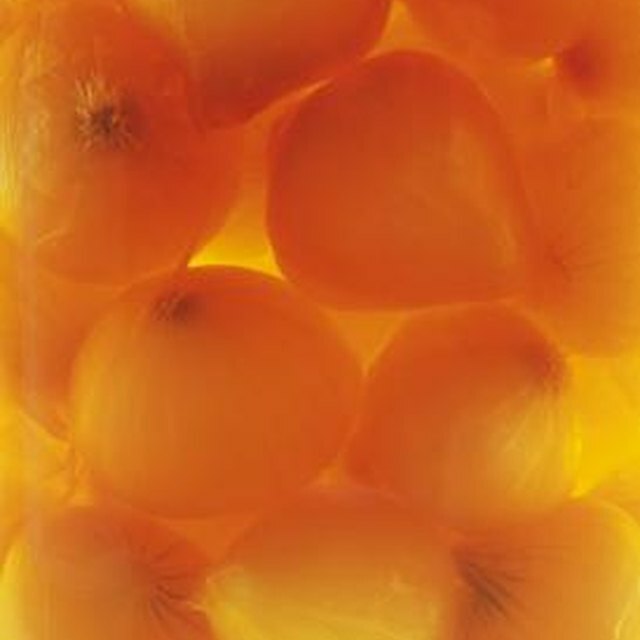 1 How Long Do I Let My Pickled Onions Ferment? You can find pickling spices sold in portioned packages in the spice section of the grocery store. One pound of cucumbers yields about 1 pint of pickles. 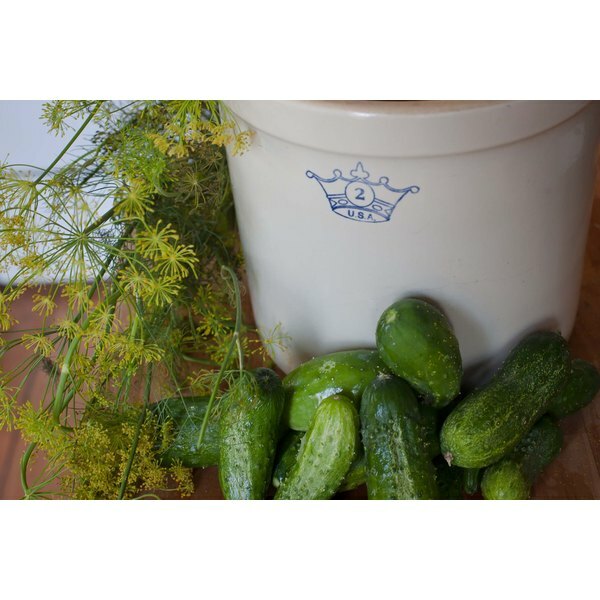 For each 4 pounds of cucumbers you need 1 gallon of space inside your crock. Load the crock in the place it will sit during fermentation. Once full, it will be difficult to move. Do not vary the amount of salt and water in the brine. You want a salt level that is high enough to kill bad bacteria but low enough that it doesn't kill the lactic acid bacteria. Some surface scum is to be expected. The pickles should not be soft or slimy, and they should not smell funny. If anything about them is inconsistent with what you'd expect in a pickle, throw the batch out. How Long After Catching Should You Cook Crab? Do I Cover or Uncover When Baking?